We’re a Singapore-based couple (Khing and Sha) fascinated by the amazing work of social enterprises. What started out as a shameless request list of birthday ‘gifts and makan(eat)’ sent out to all her friends, eventually sent Sha on an adventure into the world of businesses with heart. Fed up with not being able to find a consolidated site we could visit, if we wanted to spend our money more meaningfully, we decided to set up our own! So we’re on a hunting trail to discover and showcase as many good quality social enterprises as we can find in Singapore. They could have manufacturing in other countries (which is great because we know that many provide employment to less fortunate in the other nations), but the end result good and services are available in Singapore somehow! A charity focuses on the social cause and depends mainly on donations for funds. A profit-driven business is about maximizing profitability. While many businesses give back to society through various types of Corporate Social Responsibility (CSR) programmes, profits are still their main focus. The CSR programme or social cause is a secondary activity, and not the top priority for the profit-driven business. A social enterprise has the social cause as the main reason for existence – and lies between this spectrum of charity and profit-driven business. It is an enterprise set up primarily to help the social cause. However, unlike charities, social enterprises do not depend on donations, but rather they run a legitimate business to bring in the income or provide employment for disadvantaged people in society. Also, unlike a profit-driven businesses, a social enterprise would NOT EXIST without the social cause. There are some profit-driven businesses that like to call themselves social enterprises just because they have a CSR programme and contribute back to society in some way. That’s definitely a great thing to do, however in our minds, we would not classify them as social enterprises. We haven’t tried everything on this site yet. But as and when we do, we’ll update our findings. So watch the spaces evolve! Hope you find this blog helpful. Do check out the different goods and services. You could also send us any feedback or information you might acquire from your own visits. Spread the word around! And if you know of any amazing businesses that make an impact or ‘give back’, please let us know, so we can check them out and give them some publicity space here. Thanks! Hi Khing and Sha, thank you for your effort in setting up this website. 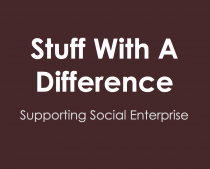 This is a treasure trove of social enterprises conveniently located here. This kind of website is far and few between. Thank you both for your civic mindedness and so unselfishly sharing your passion with us! Cheers! Thanks June! 🙂 Hope you find gems here every time you check in with us! Hi team at SWAD. It’s great work you’re doing. Wonder if you’ve heard of concern.sg? There seems to be multiple social enterprises listed there. A good resource for you in case you’re looking for more SEs to cover. Anyway, I wonder what the future plans are for SWAD? There are funds available if you’re seeking to expand this site. I might be able to assist somewhat in this aspect. Hi Khing and Sha, am encouraged by your sacrifices in setting up this site. I believe there is a new awakening of Singaporeans who are looking beyond themselves 🙂 I have been volunteering at some pepper farms in Cambodia last year and found an amazing story which I have spend some time to set up a website to share the story and came up with a product line. Please check it out at http://www.bwpepper.com Would be great if I could connect with you guys sometime. I love the cause of SWAD! I believe it has inspired many to give back to our society including my friends and I. We have set up a social enterprise based on a charitable organization and was wondering if information about our cause & products can be posted on SWAD to help raise awareness for the charitable organization. It is amazing work you are doing here! Establishing communication channels and spreading awareness is every bit as important as working for a good cause. Would really like to find out how I (and my organization) can help with this effort. This is beautiful! A stranger spoke about SWAD in his response to my Facebook post about my social start up. It is heartwarming to know that you guys are doing what you are doing for the local social enterprise scene. It makes me wanna work harder on my social startup, HHS 好貨設. (: Thankful for the discovery and keep it up, guys! I would love to share with you guys and SWAD about HHS 好貨設, its cause and future plans. Would appreciate if we could take this further. Looking forward to connect with you. All the best! what i’m thinking is something more ‘service-oriented’. for example, classify the social enterprises offerings into ‘gifts’ (and maybe sub-classify into more specific types), ‘F&B’ and so on. Hi there, great stuff, happy to have stumbled upon your site. Luv that you are also non-commercial and are featuring these businesses NOT because they have sponsored you to, unlike so many blogs nowadays..
Hi Khing and Sha! I am a social worker who loves to eat (haha who doesn’t). I work with children who have been abused by their parents, and some of them are disadvantaged due to family background and some end up dropping out of school and find it hard to find purposeful vocations. Some are parents of special needs children who harm their children out of frustration and shattered dreams of a “normal child”. Hearing many of their stories, I had decided that it was time to put my money (and not just job/time) where my heart is.